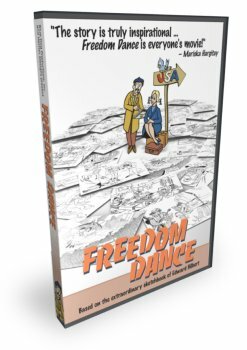 Order your copy of Freedom Dance! This remarkable story of faith and courage, uniquely animated, can be yours for only $20. Use the form below to place your order with your credit card or PayPal account. If you would like to pay by check, email info@freedomdancethemovie.com for details. Please allow 4-6 weeks for delivery. Maryland residents will be charged 5% state sales tax.